HPP advised the European Investment Bank on the Finnish aspects of loans totalling EUR 60.5 million for innovation in different fields. The operations are supported by ‘InnovFin – EU Finance for Innovators’, with the financial backing of the European Union under Horizon 2020 Financial Instruments. The European Investment Bank (EIB) is the long-term lending institution of the European Union owned by its Member States. It makes long-term finance available for sound investment in order to contribute towards EU policy goals. In 2015 alone, it made available over EUR 1.6 billion in loans for Finnish projects in various sectors, including healthcare, industry and telecom. The InnovFin programme has several specific financing instruments, for example allowing the EIB to support Enevo, Frosmo and Canatu under the “MidCap Growth Finance” window of InnovFin. Enevo (EUR 15m) will pursue the development of a revolutionary sensor technology and cloud based operations management platform for the waste and recycling industry. Frosmo (EUR 8.5m) will finance its three-year investment programme for the internationalisation and product development of its B2C e- commerce optimisation solution. Canatu (EUR 12m) will further develop its revolutionary materials for foldable displays. AW-Energy (EUR 10m) was the first ever company to benefit from the “Energy Demo Projects” instrument. 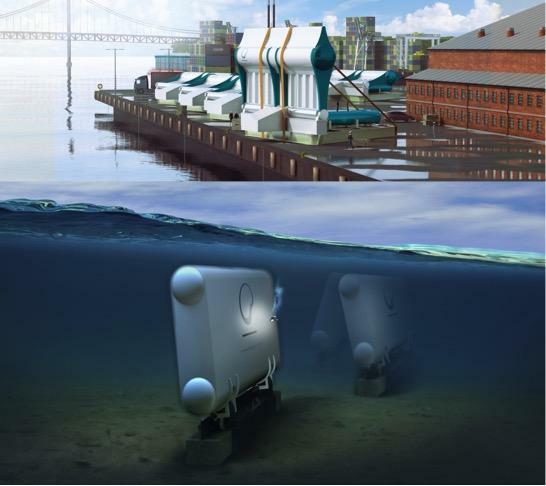 The loan will support the commercialisation of “WaveRoller” technology, generating electricity out of the motion of ocean waves. Finally, Mobidiag (EUR 15m) was the third company to receive funding through the “Infectious Diseases Finance Facility”, which will scale-up their “Novodiag” diagnostics platform, an on-demand automated solution for small labs or decentralized units. The HPP team was led by partner Björn Nykvist with associates Elina Valkonen and Sini Paajanen as the key members. Norton Rose Fulbright LLP acted as the lead external counsel in the matters when assisting EIB’s Legal Directorate. More information about the transactions can be found in the press releases below.